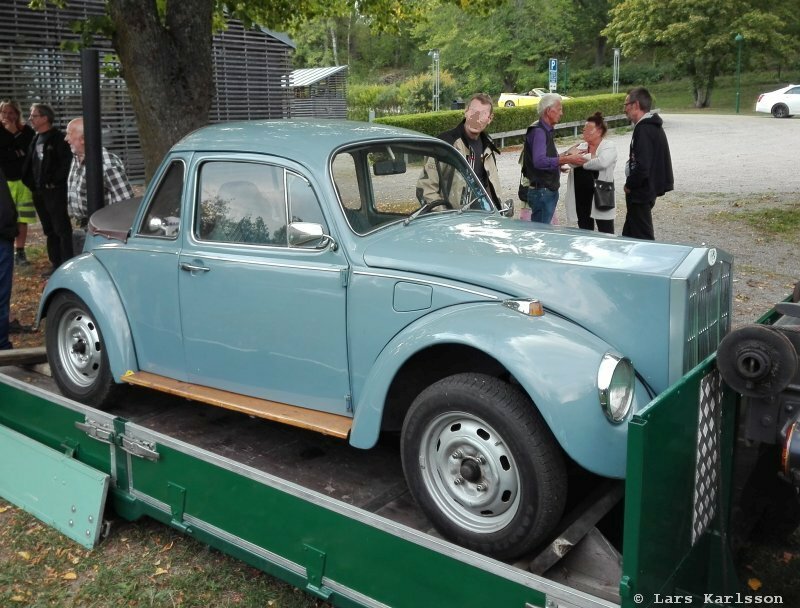 At the last car meeting at Sundby gård this year we saw something strange. An old Volkswagen stand out already from far away. When we walk closer to it to see the details we saw that this car was something very strange. A Volkswagen with a Rolls Royce hood! In the 1980s you could found these hoods as a glass fiber kit. This one looks to have been special made of the owner himself. 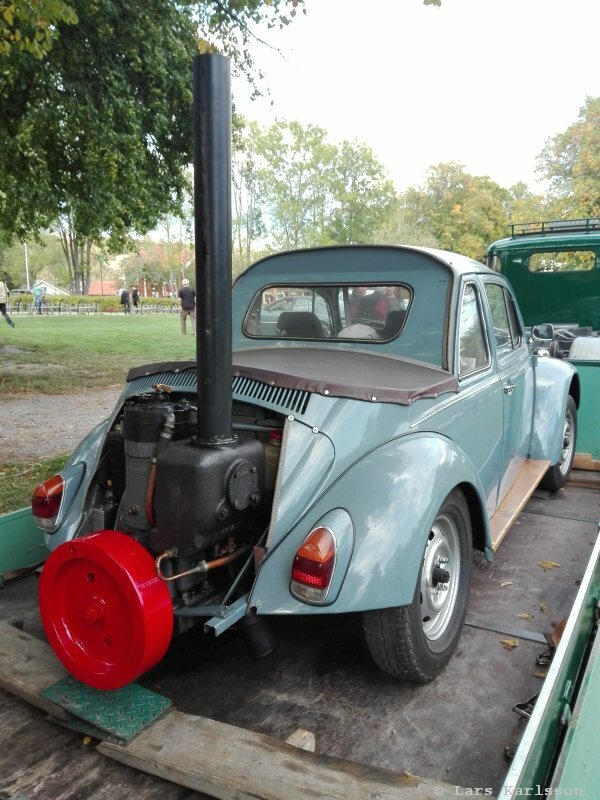 When moving to the backside of the car it was even more strange, it had an old hot-bulb engine installed! This kind of engines you normally find in old fishing boats, they have a fantastic sound, it's more like a music instrument with huge bass. After a while we find the owner, Yngve. He told us that he built this Volkswagen already in the late 1990s. And now I remember I have seen it at a motor show about 20 years ago. When we stood there talking with Yngve he showed us something he had brought with him. 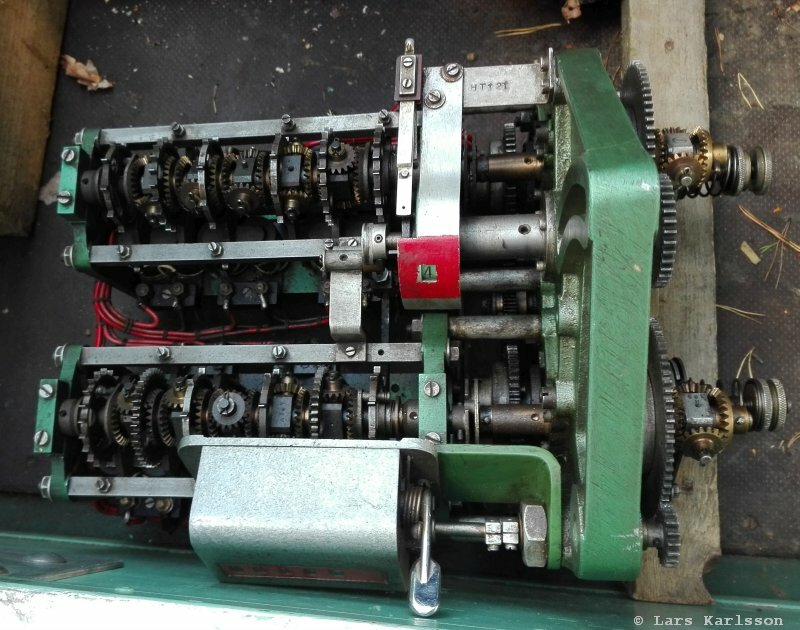 A strange machine with a lot of gears. He asked us if we know what the use of this machine could have been. I guessed that it could have been a automatic lubrication device for a big engine. Yngve have thoughts about that it could have been some automatic controller of a weaving machine. Look at the photos below, maybe you have an idea what it is? There are a lot of differential gear boxes. 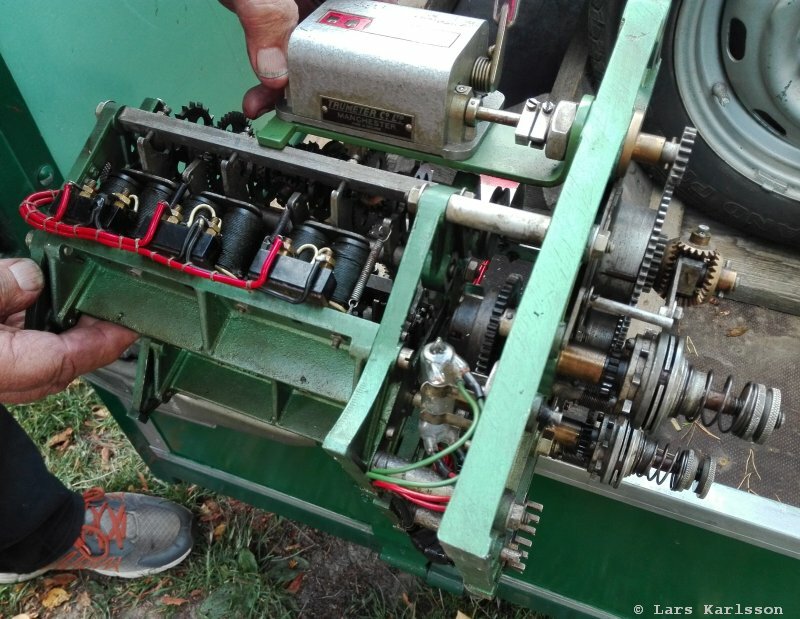 Under the differential gears there are electric coils that maybe controls the gear boxes. There is a resettable counter made of Trumeter. Today I have found that this company still exists. 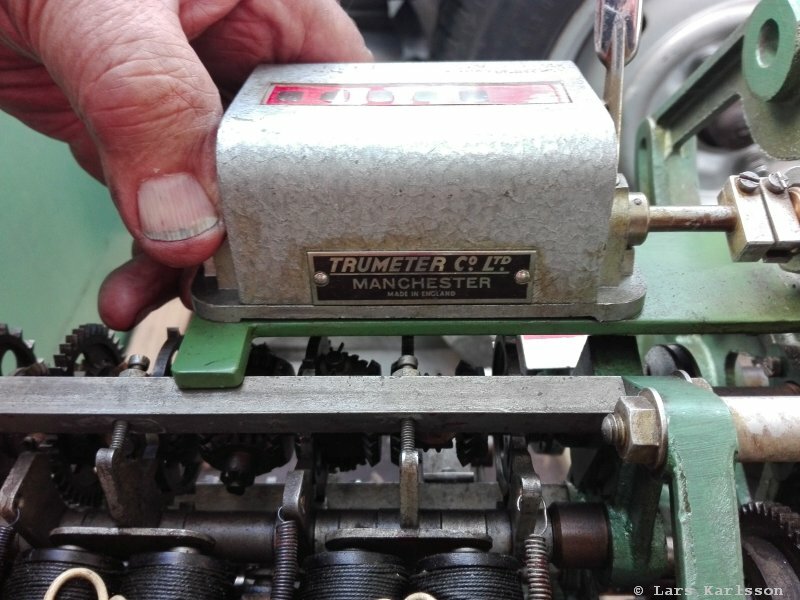 I have sent an email to Trumeter with a link to this page, maybe they can answer what the machine was used to. 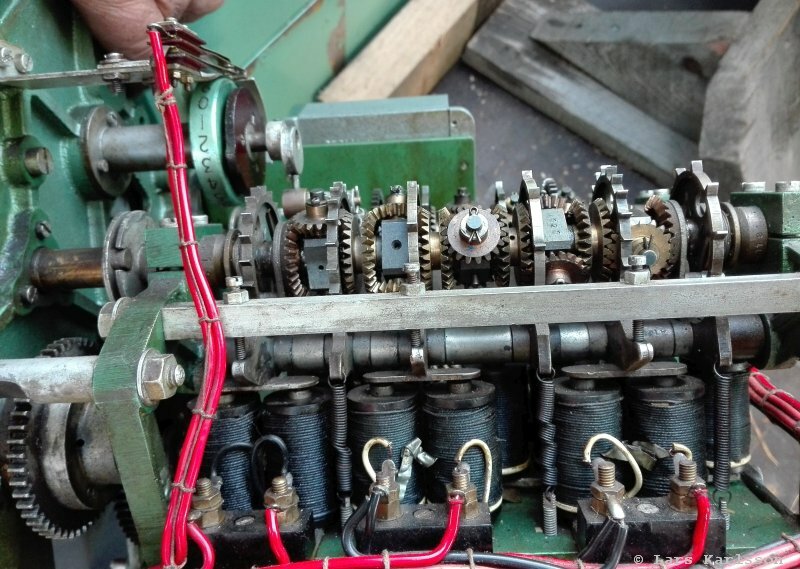 Overview of the gear boxes and the electric coils, it looks to be a camshaft there too.